Radiological physicists; medical radiological physicists; health physicists; radiation biologists; educators in physics, chemistry, public health, and medicine; students in these fields. [Contents without contributors: 6/21/90, SS]**Dosimetry for Radiological Protection at High-Energy Particle Accelerators. 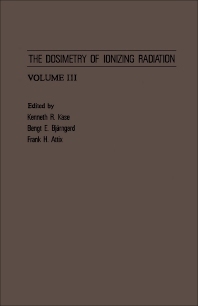 Dosimetry in Diagnostic Radiology and Computerized Tomography. Brachytherapy Dosimetry. Etch Track Detectors in Radiation Dosimetry. Monte Carlo Techniques of Electron and Photon Transport for Radiation Dosimetry. Applications of the Monte Carlo Method in Radiotherapy. Each chapter includes references. Index.